Rui Sasaki. 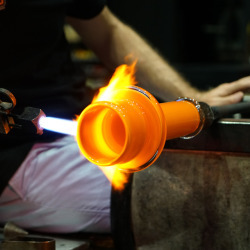 Image provided by the artist. 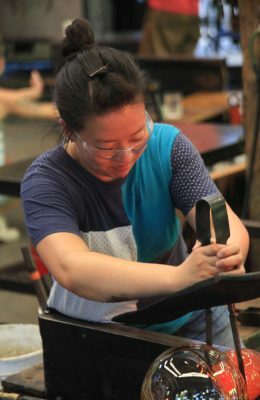 Rui Sasaki is an artist and educator from Japan who uses an array of materials, including resin, ice, light, performance, and especially glass, to highlight subtle aspects of everyday life. As an itinerant artist, pursuing opportunities around the globe, she has often created work that deals with the slipperiness of the concept of “home” and with the idea of creating spaces of belonging. 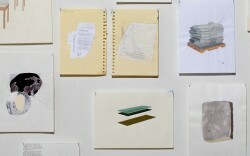 Her more recent works address the weather, drawing viewers’ attention to the subtle qualities of sunshine and rain and the emotional states they provoke. Liquid Sunshine / I am a Pluviophile, Rui Sasaki, Japan, Kanazawa, Ishikawa, 2018. 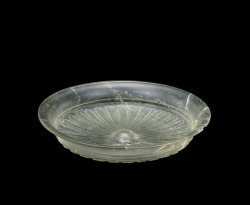 Blown glass with phosphorescent material, broad spectrum UV lights, motion detector. 33rd Rakow Commission. Photo by Yasushi Ichikawa. 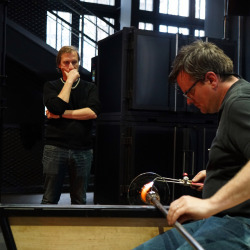 Sasaki’s Rakow Commission,Liquid Sunshine/I am a Pluviophile, distills her interest in weather. 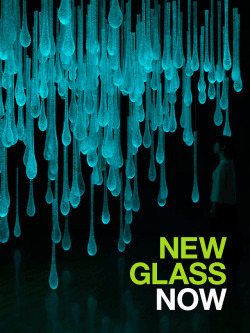 A room-size installation—11’ h x 14’ w x 12’ d—the work consists of more than 200 blown glass “raindrops,” each embedded with small dots of phosphorescent material that absorb simulated sunlight. 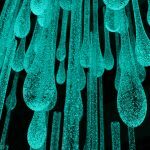 Installed in a darkened room with broad spectrum lights regulated by a motion detector, the raindrops are charged only when the room is empty. 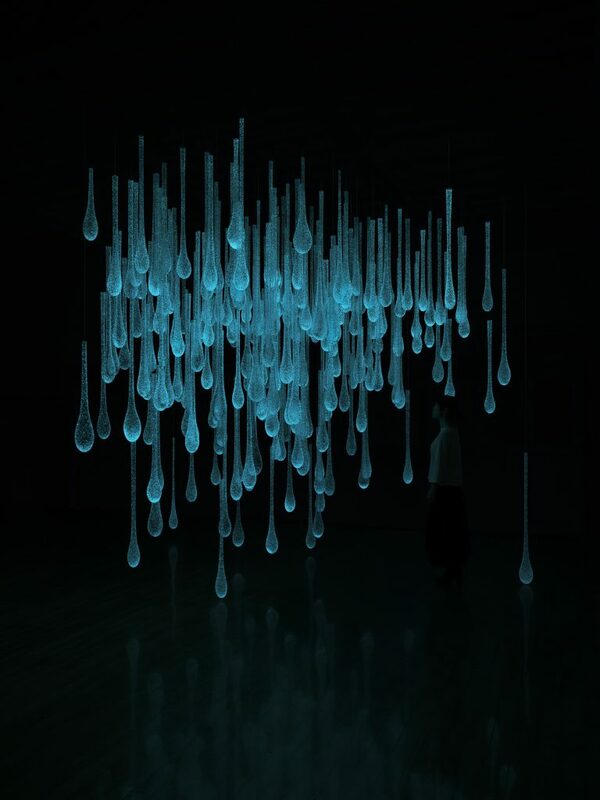 As soon as a viewer approaches the piece, the lights turn off, leaving only the glowing outlines of the raindrops visible. Over time, the glowing phosphorescent glass dims, the way the memory of sunshine fades during the dark days of winter. Lovely video- does invite me to see the results!